Evlution Nutrition ENGN Review – Should you buy it? Working out is not just about staying fit; it’s also about being competitive. That’s why pre-workout supplements are one of the fastest-selling supplements around. Pre-workout supplements are known to provide users with an extra jolt of energy and willpower to endure longer, more intense workouts. In the realm of pre-workout supplements, only a few stand out from the rest. One of them is Evlution Nutrition ENGN. Evlution Nutrition ENGN is a pre-workout supplement created by the same company that manufactured products like Trans4orm and Lean Mode. Suffice to say, Evlution Nutrition is a well-known brand in workout nutrition, and they have a solid customer base that would buy just about any product they put out in the market. The real question is – is Evlution Nutrition ENGN really effective? We’ll find out in this review. Pre-workout supplements are typically loaded with stimulants, and Evlution Nutrition ENGN is no different. Evlution Nutrition ENGN is loaded with an unspecified amount of caffeine anhydrous. What’s dangerous is that the actual caffeine content is not published by Evlution Nutrition for ENGN. Caffeine is a common ingredient in many supplements, and exceeding your body’s threshold for caffeine could lead to serious side effects. Who uses Evlution Nutrition ENGN? Pre-workout supplements are typically used by competitive bodybuilders and athletes who would want to gain a little performance boost on their workouts. Evlution Nutrition ENGN is also used by regular customers of Evlution Nutrition, and they may have acquired ENGN through one of Evlution Nutrition’s bundle deals. To say that Evlution Nutrition ENGN is a mix of different kinds of supplements is an understatement. It contains ingredients from both pre-workout and post-workout supplements. As a pre-workout supplement, the typical ingredients are present, like: L-Tyrosine, Agmatine Sulfate, caffeine Anhydrous, Niacin, and Huperzia serrata. The pre-workout component of Evlution Nutrition ENGN is roughly centered on a mild nootropic and mild energy boosters. Users can expect to feel a little jittery after taking Evlution Nutrition ENGN, especially if they are not used to taking large amounts of caffeine. Evlution Nutrition ENGN is below the recommended creatine dose for athletes as it only contains 2 grams per serving. Evlution Nutrition ENGN’s best price is at $0.67 if you buy two 30-serving tubs of the product, and get another 30-serving tub for free. Ala-carte, Evlution Nutrition ENGN is priced at $2 per serving. 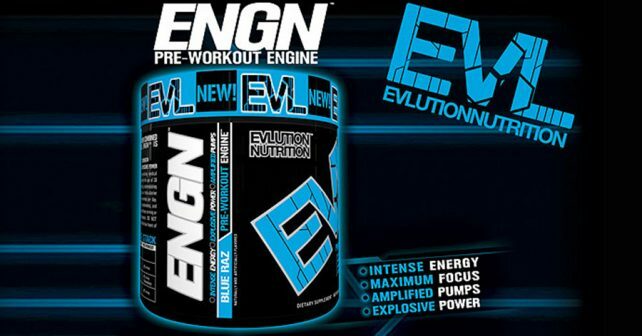 Evlution Nutrition ENGN is a mediocre pre-workout supplement at best. Since its creators tried to cram too many ingredients in just one formula, it compromised the quality of what could have been an awesome product. Should you decide to purchase Evlution Nutrition ENGN, it would be best to stack it with NitroGenix 365 to increase muscle strength during workouts, as well as to boost post-workout recovery.